The Association of Consulting Architects Australia has announced its 2017 Insight National Webinar Program. 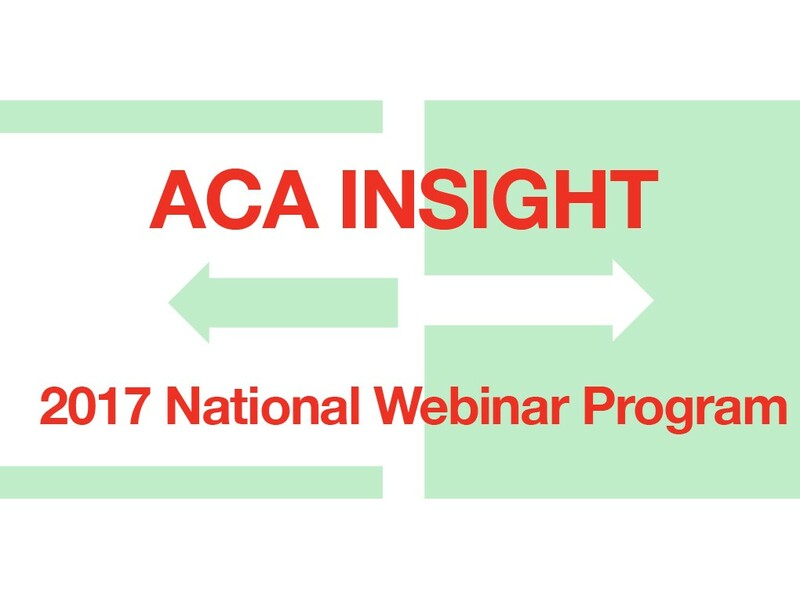 The ACA Insight National Webinar Program provides relevant and cost effective CPD service to all members, wherever you are located. This webinar explores how the successful future of the architectural firm is contingent on a practice focus towards knowledge production. Peter is an architect, design teacher and a researcher. He is currently an academic at the MSD at the University of Melbourne, where he teaches architectural practice and design. More detail and bookings here. A client-architect agreement is essential when providing architectural services. The legally qualified risk managers at informed will provide an overview of some available standard consultancy agreements, key matters a consultancy agreement should cover, and a few ideas about negotiation strategies. What are current pay rates in the industry? Gill Matthewson presents analysis of the 2017 ACA National Salary Survey results. Gill is a researcher, architect and educator, now based at Monash University in Melbourne. She has a particular interest in statistics about architects. Why is brand and marketing iimportant to an architecture firm’s success? This webinar explores the issues and provides attendees with ways to successfully compete on brand and practical marketing strategies. Lindy owns her own business which specialises in marketing, PR and business development for Australian architects and designers. This webinar identifies strategies that architecture firms can implement to win new work, including ways to strengthen relationships with existing and potential clients. Merilyn is founder and Principal Consultant at Catalina Consultants. She has over 20 years’ experience in the development of business strategies, leadership development, people and performance management and succession planning. In this webinar Michael outlines the outcomes of the Award review process for 2016/2017 and how these changes will affect arcitectural businesses. Michael heads the team at Platinum Employee Relations and provides regular specialist advice to the ACA on employment matters.